Code Like a Fighter Pilot, Design Like an Engineer — and Measure What? How do you measure 'agility'? Who should be worrying about 'agility' in a given project -- developers or managers? Both questions have easy, unsatisfactory answers (1: cycle time; 2: both). But I'd like to probe a little deeper than bean-counter level and think about these questions from the point of view of design. Now maybe too much up-front design is a bad thing -- at least for certain kinds of software (e.g. consumer-facing & small-scale). But engineering involves design at every stage of development. The question is just how much and where. And in fact some of the most extreme cases of up-front design – large-scale military, manufacturing, aerospace – jumped on 'agility' almost before anyone else. If this seems counter-intuitive ('how can factories fail early any often?? '), read on. Well, of course the 'agile' buzzword is a lot older than the Agile Manifesto. Government and industry have been bloviating about 'agile' since at least 1991, when the Iacocca Institute compiled and discussed vast swaths of research under a US Navy contract, publishing the results as 21st Century Manufacturing Enterprise Strategy: An Industry-Led View. "..must be structured to allow decisions at the point of knowledge, to encourage the flow of information, to foster concurrent cooperative activity, and to localize the side-effects of sub-system change." Sound familiar? Sure, these principles flow naturally from good software practices (separation of concerns! modularity! robust namespaces!). But the basic motivator for this early, manufacturing-and-military-centric concept of 'agility' was the astonishing success of 'lean' manufacturing in 1980s Japan. The basic need for enterprise agility comes from the same features of the modern world that modern software itself is designed to respond to: unpredictability, uncertainty, risk, and variation. But agility -- in the sense of 'responding to uncertainty', not 'shortening cycle times' -- didn't deeply affect the enterprise until software developers led the way. Government and manufacturing developed the concept, and yet developers often feel -- and in so, so many cases, this feeling is obviously spot-on -- that their non-technical managers don't really get it (however much they buzz the word). Why? This is (partly) what I was trying to figure out in Seattle. But even Royce's classic 'waterfall' paper strongly emphasized the need for iteration between successive steps (and was written from experience building software for massive aeronautical projects at Lockheed). [Royce was saying that iterative-free, purely linear development doesn't work.] That's over two decades before Scrum. But Royce introduced iteration to avoid from-scratch redesign in the face of failure to meet external requirements -- not specifically to respond to uncertainty. Contrarwise, consider the famously iterative OODA loop, also developed by the military, with the aid of software, specifically for fighter pilots, in order to deal with the radical environmental uncertainty generated by enemies trying to shoot you out of the sky. You've probably heard about the OODA loop -- Observe, Orient, Decide, Act -- and how it was developed (partly by computer simulation), who it was developed for (fighter pilots and designers), why it was developed (because Soviet-built fighters were surprisingly effective against 'more advanced' American fighters in Vietnam), and maybe some of its immediate effects (revivification of the F15 program; development of the F16). Like the early pictures of the Agile Enterprise, Boyd and Schwaber both focus on uncertainty. But uncertainty is a feature of the environment. Given an uncertain environment, the most important factor on the part of the agile enterprise/developer/pilot is time. If you can't predict how the environment will change, then you better be able to respond quickly when it does. 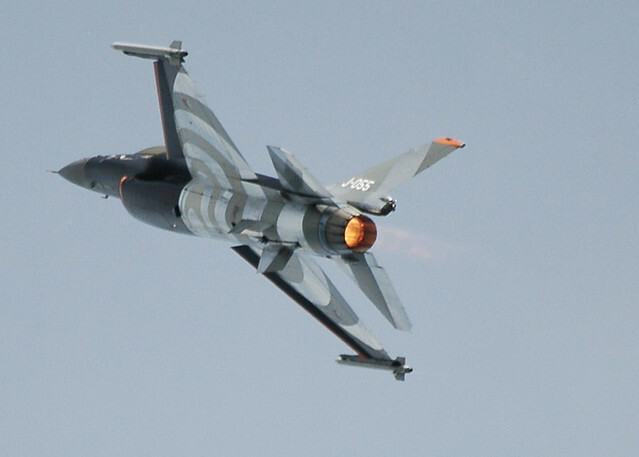 As a result, Boyd's preferred fighter was the F16 (for its maneuverability), and metrics like cycle time have received a great deal of well-justified attention in the world of ALM. Agility vs. speed - the line strikes back? But speed isn't quite what the fighter pilot needs. More important than straight-line speed is the rate of change of direction. Agile jets and agile codebases change direction quickly; they don't just move fast. The distinction is straightforward in concept, of course, but all too easy to miss in practice. The reason is partly a function of technical psychology: flow is good, and immensely satisfying. And the whole point of a flow is that Boyd's O and O are completely invisible. There's just D and A, and of course you're Ding and Aing correctly every time. But every part of a laminar flow moves in one direction. A speed-maxed laminar flow needs to slow down in order to avoid turbulence during unexpected shifts in direction. To me this feels like a certain kind of coding. Anyone who has buzzed their way through a cowboy-dev session knows the feeling. The code is flowing thrillingly, but the momentum vector is getting too big to change. Even assuming no technical debt (because you're totally in the zone, you're not taking shortcuts, everything is coming out just perfect), the straight-line productivity might be advancing too fast. At least, too fast to respond to uncertainty -- maybe fast enough to skip the first to O's. Maybe 'hurtling' is a good word. But right now I'm trying to figure out what metrics can really be used to measure your agility rather than speed -- that is, the rate at which software developers (and projects) change direction to respond to the unexpected and uncertain. And I'd love to hear what you think. Are pure-speed metrics harmful, neutral, helpful, meaningless, and if so how and why? Let's assume (unrealistically) that there is no technical debt -- because we're trying to measure degree of agility, not degree of perfection. How would you measure software agility in the sense described here -- as the rate at which software developers (and projects) change direction to respond to the unexpected and uncertain?